of foods & beverages. Aspartame is one of the most thoroughly researched food ingredients in use today. It is 200 times sweeter than table sugar (sucrose); thus such small amounts are needed to sweeten foods that its caloric contribution to the diet is negligible. Numerous scientific studies, including a five-year study by the U.S. National Cancer Institute, have confirmed its safety. Aspartame is safe for all populations, including children, people with diabetes, and women who are pregnant or lactating. The only exception is for people born with a rare genetic condition called PKU, for which we provide an advisory notice on our label. Aspartame is used in low-calorie beverages and dry mixes, chewing gum, confections, gelatins, dessert mixes, puddings and fillings, frozen desserts and yogurt. It is also used to sweeten some pharmaceuticals like vitamins and sugar-free cough drops. HighFructoseCornSyrup. HFCS is a sweetener made from corn and is composed of two simple sugars – fructose and glucose. The human body knows no difference between table sugar (sucrose) and HFCS. HFCS won’t cause you to gain more weight than sugar because it has the same number of calories per serving as table sugar. The FDA recognizes both sugar and HFCS as safe ingredients for use in food and beverages. seeds or fruits of more than 60 plants. It is used as a flavor enhancer in a variety of beverages, including some soft drinks. The amount of caffeine in soft drinks is regulated by the federal government to no more than six mg per fluid ounce, a fraction of the caffeine in a cup of coffee. (I.e. An 8oz serving of Coca-Cola is 23mg of caffeine. This is roughly 1/3 the amount of caffeine in an 8 fluid oz. cup of coffee.) Most health professionals consider 200-300mg of caffeine per day to be a moderate level of consumption for an adult. what beverages are available to students from K-12. We started offering lower-calorie, smaller-portion beverage choices such as waters, teas, sports drinks & juices. We recognize that schools are unique places. And they’ve delivered change that will have meaningful and lasting impact for America’s schoolchildren. Coca-Cola has clearly put calorie information at the fingertips of consumers by placing it on the front of beverage products. According to the National Association of Secondary School Principals, the number one use of funds from beverage sales in schools is the purchase of sports and physical education equipment (66% of schools). Product Labels. Our companies will display total calories on the front of all containers up to and including 20 ounces; multi-serve packaging will be labeled per 12 ounces (as well as number of servings per package) for all beverages. The beverage industry is a leader in innovation, developing new products that provide consumers with an ever-increasing selection of zero – and lower-calorie beverage choices. 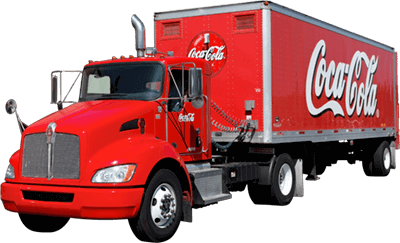 The Coca-Cola Company has designated a program devoted to health and nutrition. The Coca-Cola Beverage Institute for Health and Wellness website promotes healthy living and offers the latest news and information about products and articles pertaining to health. Weight gain is the result of consuming more calories than are expended through basic metabolic processes and physical activity. It is believed that all foods and beverages can have a place in an active healthy lifestyle. Consumers need not give up sparkling beverages, simply choose low or no calorie beverages or decrease the portion size of a full calorie option. In 2010, Coca-Cola designed the mini can, a 7.5oz serving of Coca-Cola with only 90 calories. The design was a success, and the 7.5oz8pack cans are now also available in Coke Zero, Diet Coke, Sprite, Dr Pepper and Diet Dr Pepper. Studies have found that as long as there is adequate calcium intake, sparkling beverages are not proven to weaken bones. There are simple steps in order to build strong, healthy bones: get plenty of calcium, vitamin D, and weight-bearing physical activity.